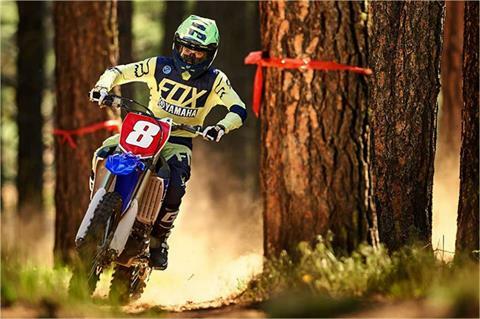 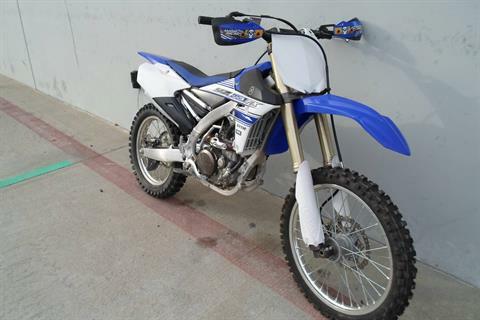 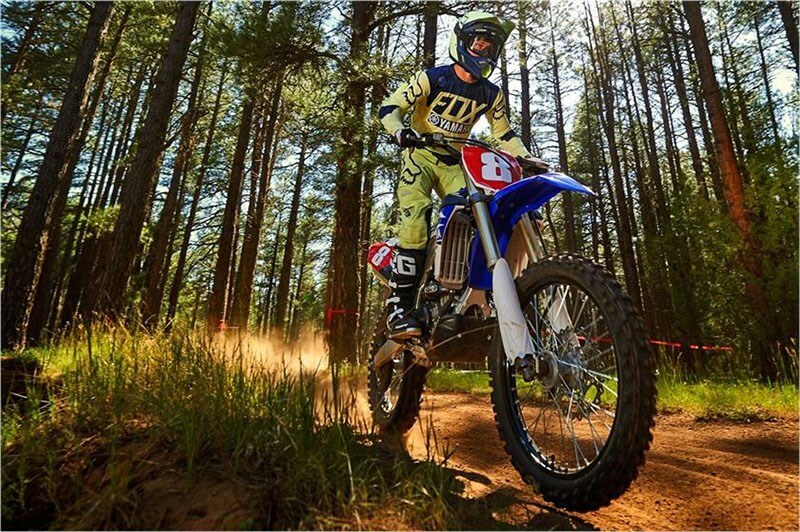 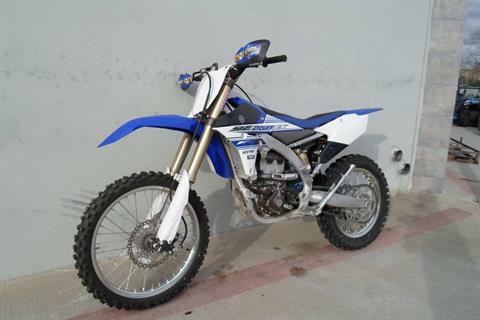 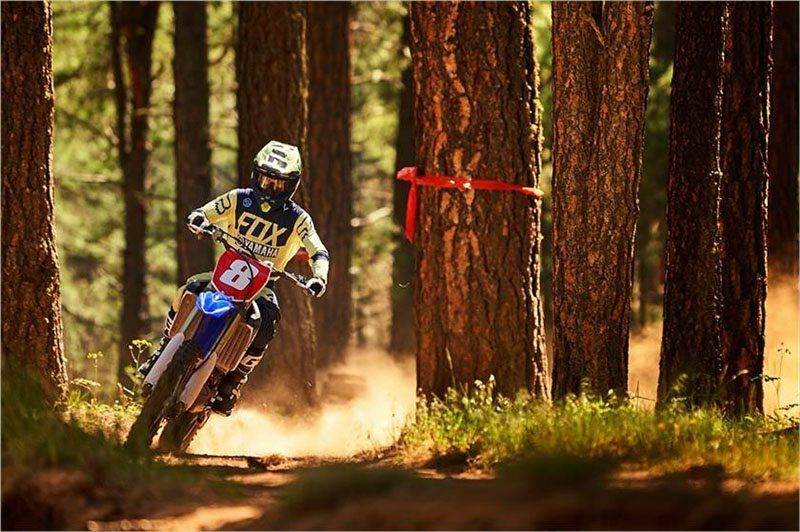 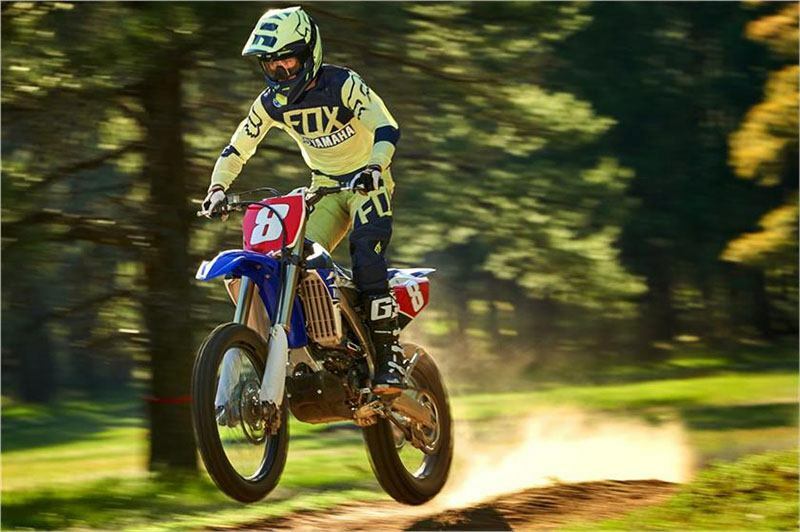 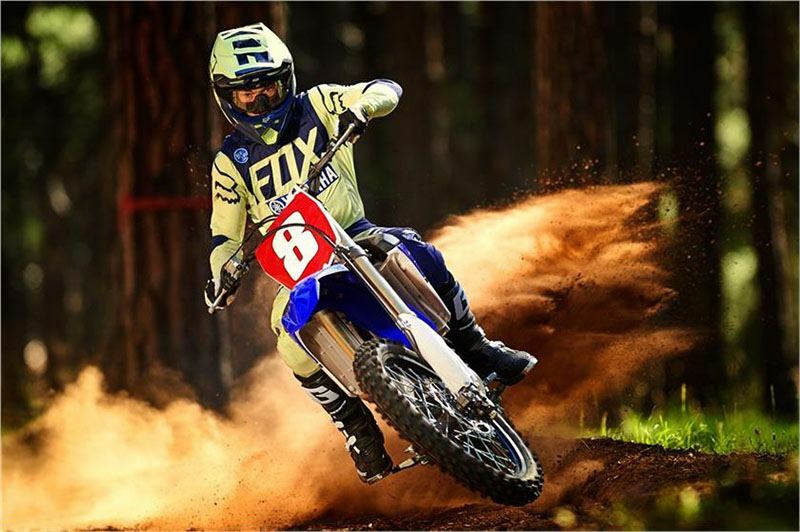 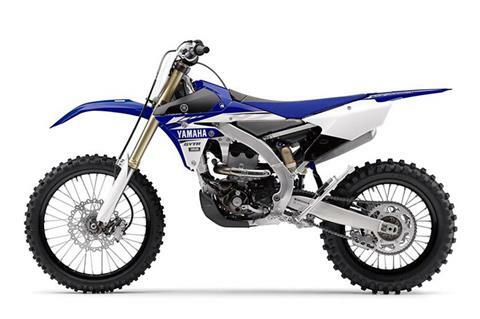 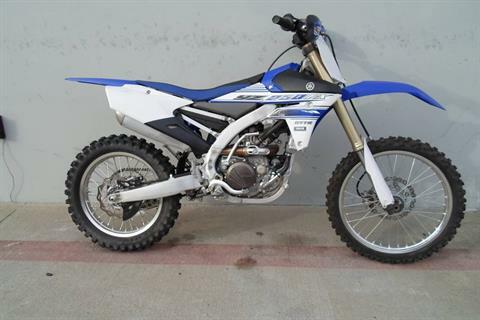 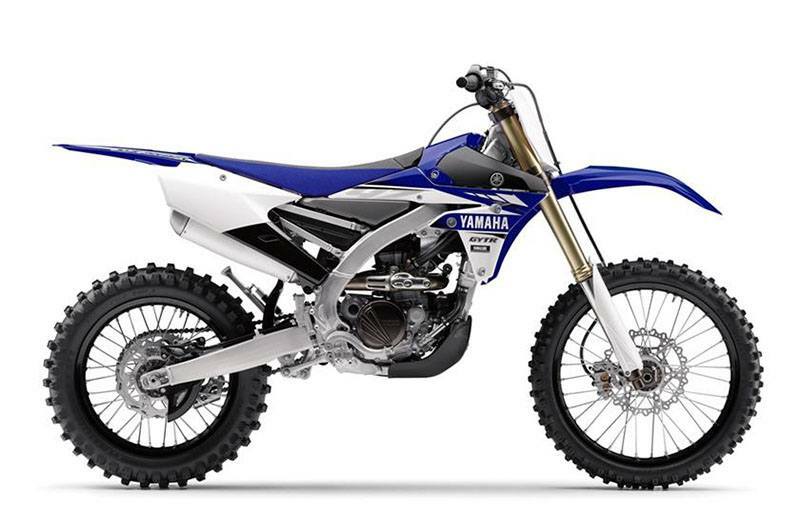 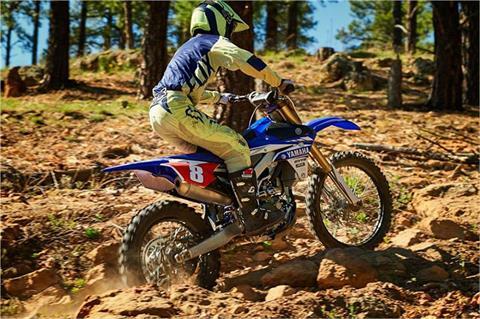 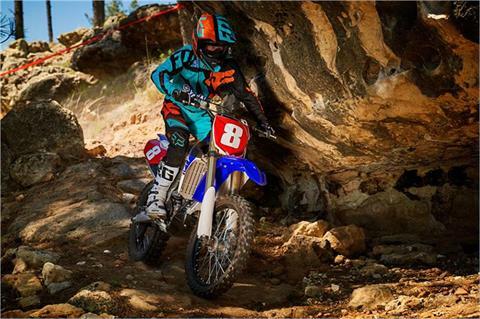 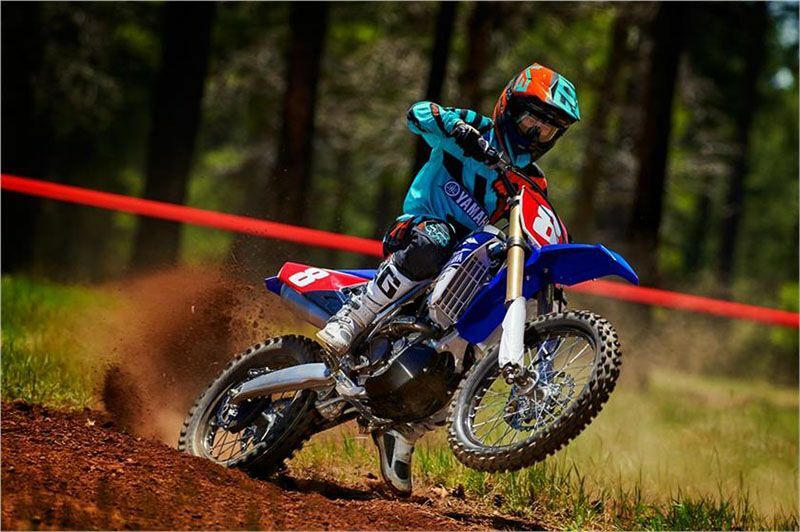 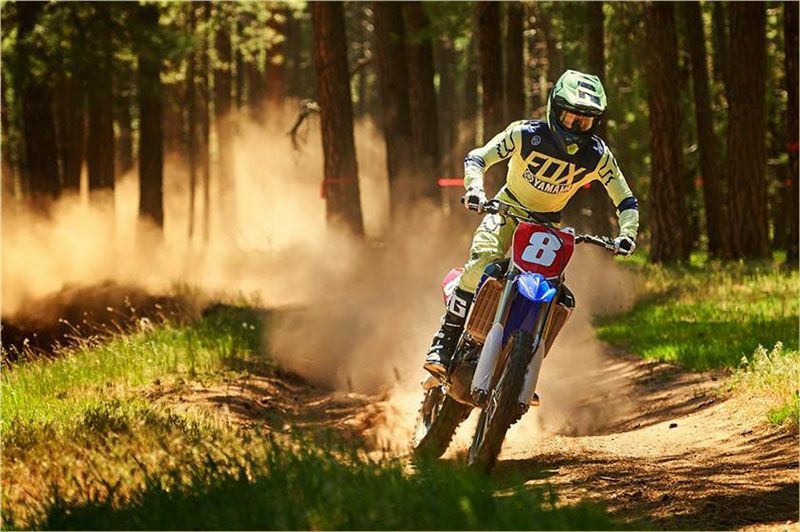 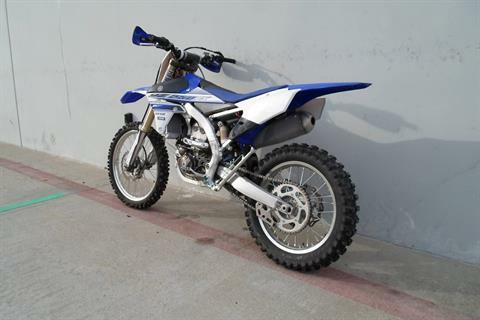 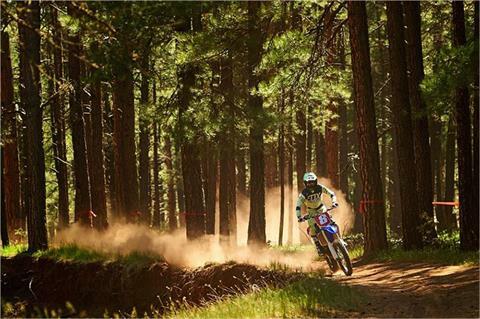 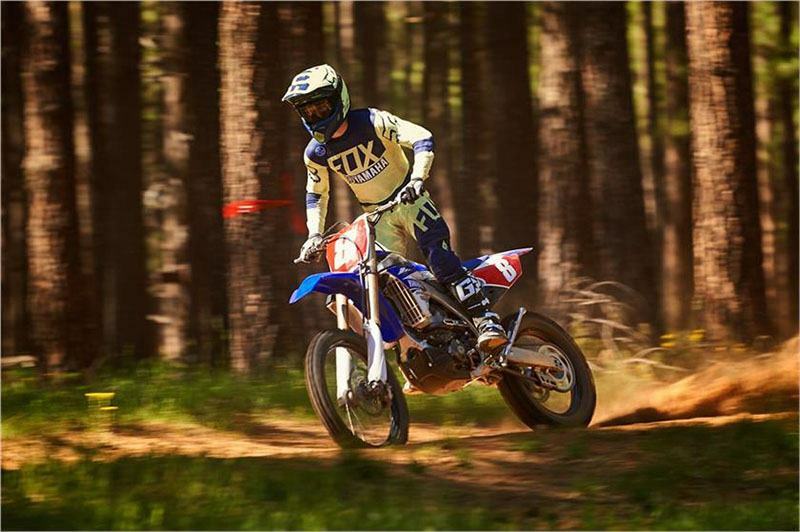 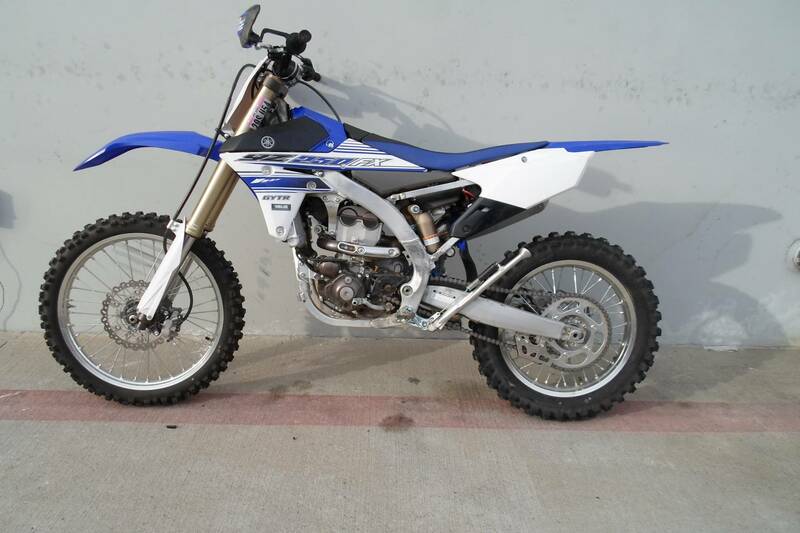 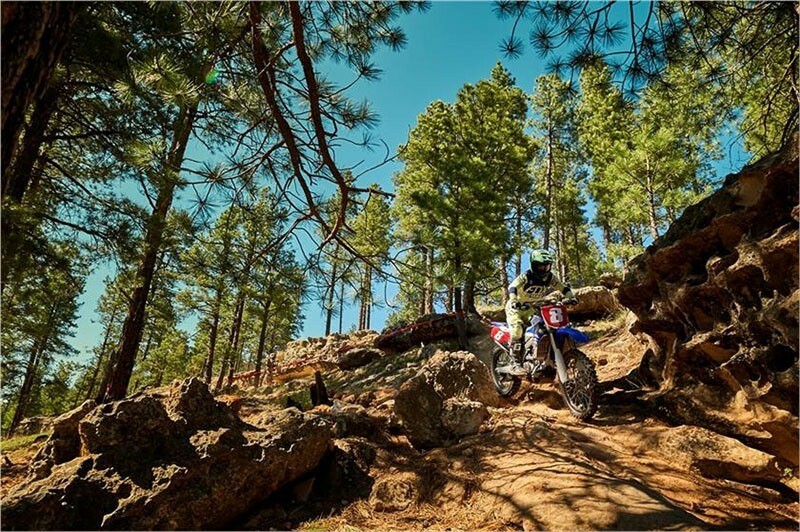 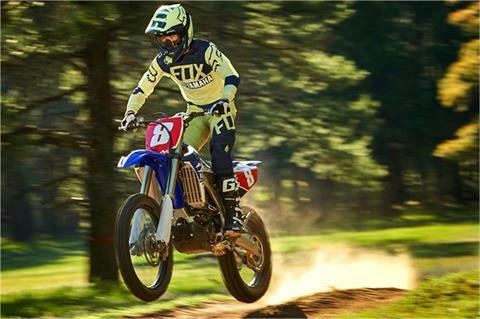 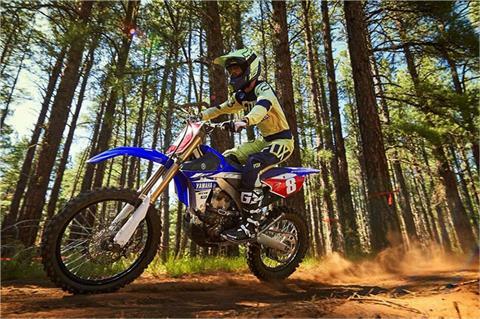 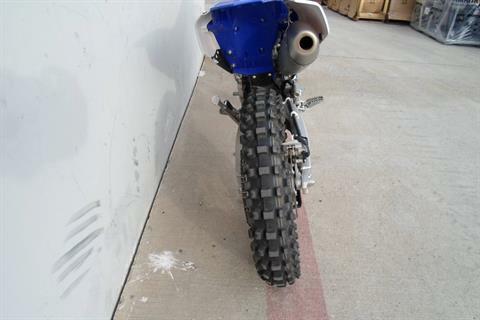 YZ250FX is a light, powerful machine built to win cross country races. CYLINDER HEAD AND INTAKE SYSTEM: The compact four-valve cylinder head features revised intake geometry for additional downdraft effect, matched to shorter intake funnel in the airbox, for improved top-end power. 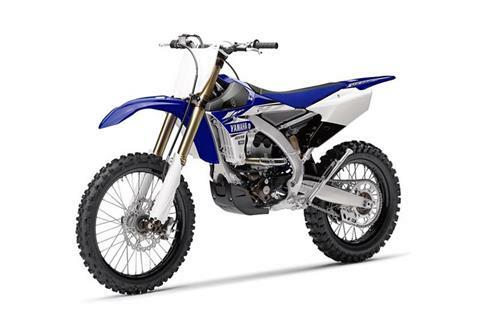 Inside the head, more aggressive camshaft profiles and valve springs boost output further, while larger valve seats ensure excellent sealing and reliability. 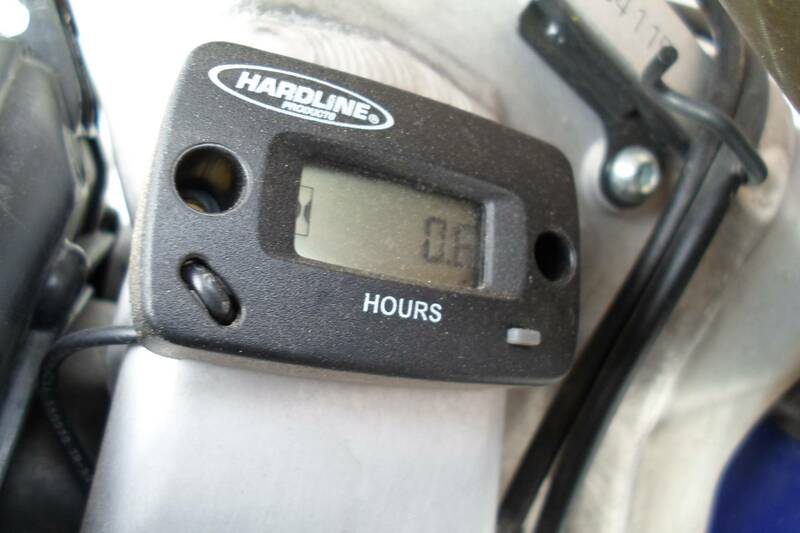 PISTON: A lightweight forged two-ring piston uses a flat piston crown surface with additional strengthening ribs and a shorter, more durable piston pin with diamond like carbon (DLC) coating. 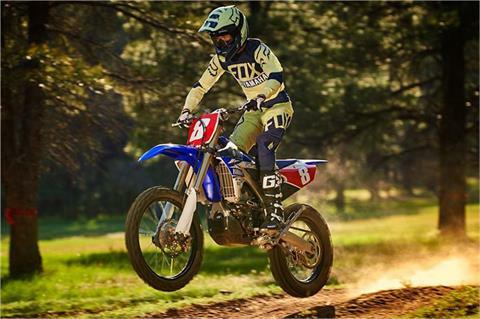 The piston is lighter, significantly stronger and together with revised EFI mapping, improves combustion performance for a faster, more thorough burn, resulting in excellent pulling power. 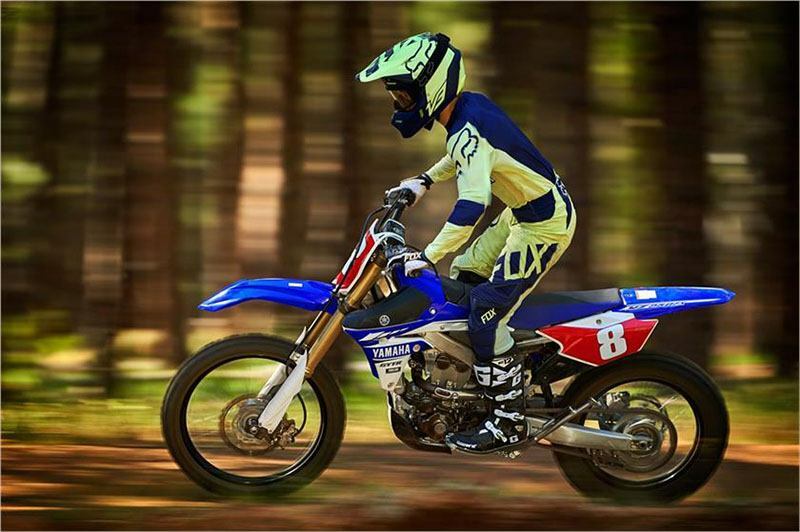 CRANK AND CONNECTING ROD: Optimized crankshaft and counterbalancer designs feature a revised balance ratio, predictive power delivery and reduced vibration. 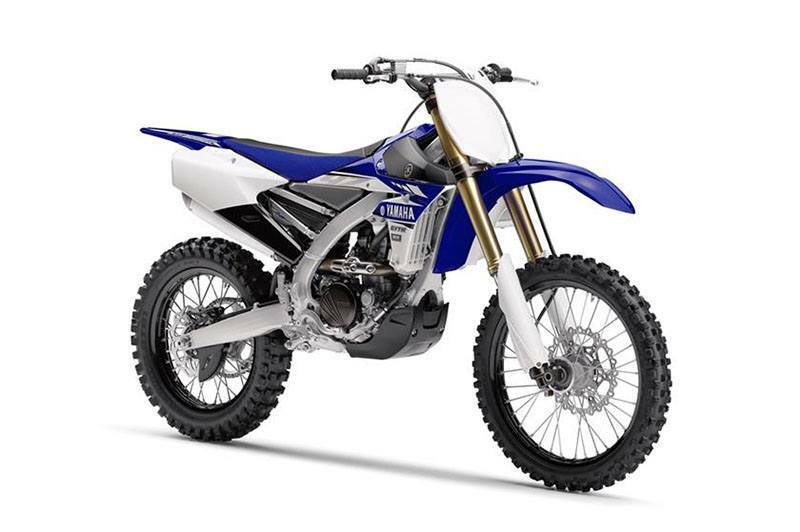 A nickel-chromoly steel connecting rod offers additional durability to handle the increased power output. STRONGER CRANKCASE: The crankcase features a heat treating process to increase strength, for protection, the frame welcomes the addition of a rugged plastic skid plate. 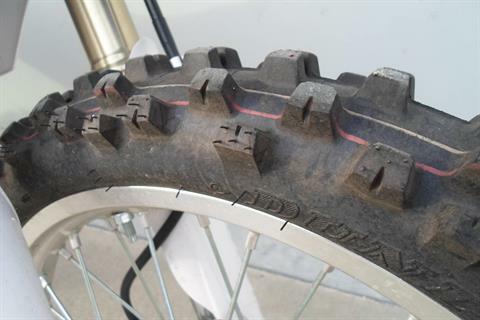 270 MM FRONT BRAKE: 270 mm front disc (up from 250 mm) brake coupled with pad material offers outstanding braking power and performance. 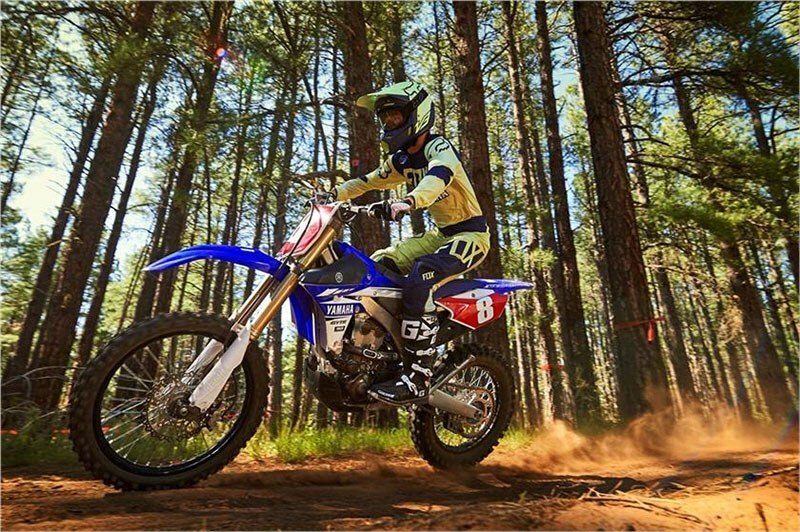 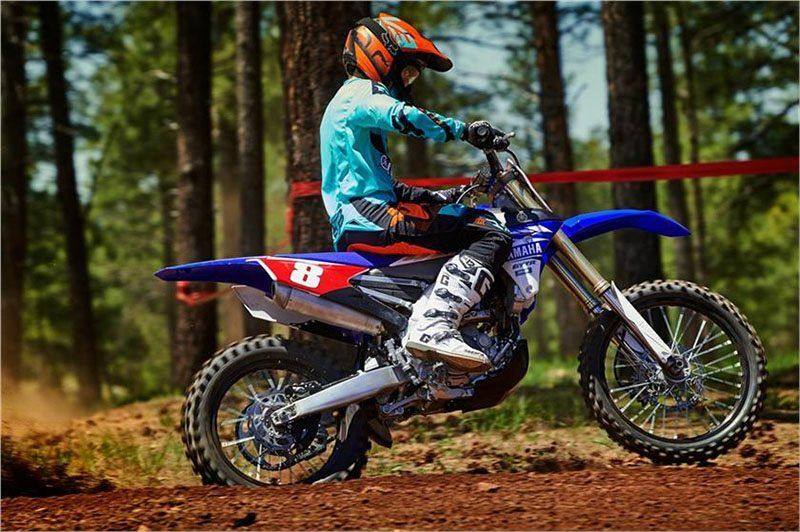 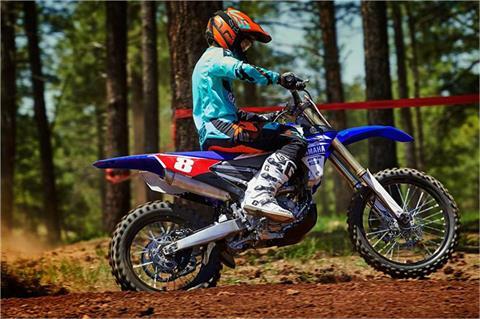 UPDATED INDICATORS: Thanks to a WR®-style fuel level sensor in the tank, the 2017 YZ250FX includes a convenient fuel level and engine warning indicator on the handlebar.